Are you grinning at the results of your sous vide cooking? If you’re using sous vide for home cooking I’m sure you’re already impressed by the flavor and texture of your meals. But what are the risks? What should you avoid? The first time I cooked sous vide I was so impressed with myself. You couldn’t wipe the smile off my face. For the price of a culinary torch, take your desserts to the next level. Steaks with no discoloration at the edge when you cut into them and perfect mushroom sauce. Chicken the most tender I’ve ever tasted. And the salmon was restaurant quality. To be honest, everything I cooked was restaurant quality. I was so impressed with the results I decided to try desserts. I even bought a culinary torch (you can get a Top Rated one HERE for under $20 at Amazon) to be able to finish off making crème brulee in my sous vide cooker. The end result was delicious. Once you have a sous vide water oven or an immersion circulator sous vide for home cooking it’s hard to imagine cooking without one. In a Hurry to get a Sous Vide machine? ===>> Want to see the Best Rating Sous Vide Machines ($99 – $700)? Click Here. You can skip ahead with the following links, or just keep reading. The only problem with being able to use sous vide for home cooking several times a week is that you become complacent. Actually, I shouldn’t call this a problem, it’s a privilege. 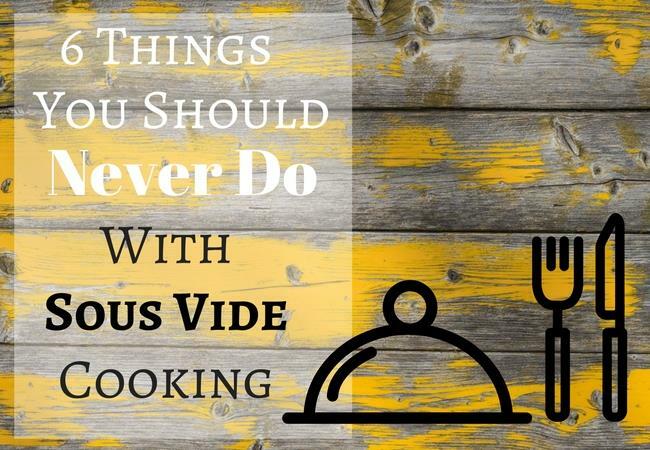 But it does mean you should brush up on the do’s and don’ts of sous vide. For the price you get the convenience of voice activation on the Joule immersion circulator when you combine it with Alexa. After you’ve used your sous vide cooker a few times you almost take it for granted. Hands-free cooking, no baby-sitting the food so you don’t burn it or have a boil over, and no worry about leaving it for too long and overcooking – nothing like that at all. It’s a delight to use sous vide for home cooking. So, I hear you asking, what are the things you should never do when cooking sous vide? Mostly they involve health and safety. This is not something new to sous vide. Anyone preparing food needs to take precautions. 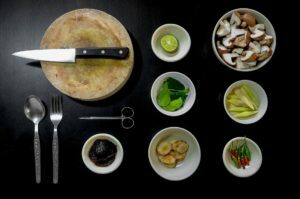 Many of the same principals apply to traditional methods of cooking. The differences that relate to sous vide are mostly because it is a newer cooking method and so they may not be ingrained in your average home cook’s knowledge. Meat which has been mechanically tenderized is not recommended for sous vide cooking. 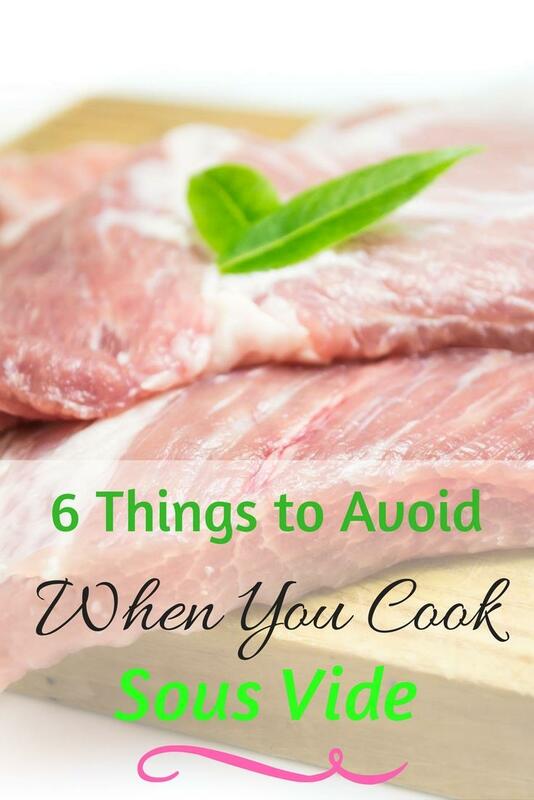 In fact, there are government authorities which release standards for food handling to be used by professional restaurant chefs and they recommend against using mechanically tenderized meat when using the sous vide method of cooking. I’m not an expert on the science of cooking but from what I’ve read, the reason for this is because the bacteria which is naturally occurring on the surface of the meat is pushed into the piece of meat by the tenderizing machine. This is best dealt with by cooking the meat at a high temperature – obviously not sous vide temperatures. The solution…just don’t buy mechanically tenderized meat if you’re using sous vide (it should tell you on the packet if it is mechanically tenderized). This is important for all food, if not eaten straight away. The reason I think it is so important to remember this if you’re using sous vide for home cooking, is because I know a number of people who use sous vide for weekly meal prep. The cooking time is long with sous vide but the results are worth it. Therefore lots of families use sous vide to cook ahead and store the meal in the fridge or freezer. This saves a lot of time during the week and is simple to do on the weekend because the sous vide cooker does all the work for you. If you want to rapidly cool your food at home you can either buy a blast chiller or use half ice and half water in a large container. Buying a blast chiller is a bit extreme for home cooking so I recommend the second option. That’s what I do. 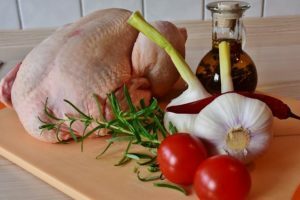 If you want to cook chicken at a temperature lower than what’s recommended in the sous vide recipe or lower than what’s on sous vide cooking tables, you’ll need to do the research and educate yourself on the risks. The safety of your food is for you, your family and your friends. Everyone knows cooking chicken is different from cooking steak. It is more important you get the safety correct for chicken and other poultry so read up on it before you risk a temperature too low. This sounds obvious to many people, but there is a specific reason for it. For pasteurization to occur, the meat needs to be cooked at the correct temperature for the correct length of time. I’ll repeat that, it really is so important, temperature AND time are important. 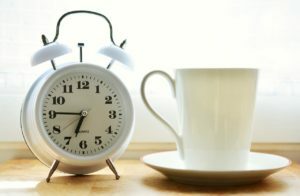 If you change either the temperature or the time, you may be dicing with unacceptable levels of bacteria in your food. No one wants that. If you’re using sous vide for home cooking, it’s good to remember there is more than one reason for sous vide using long cooking times. It not only gives you great texture and taste in your food but it also allows for pasteurization to occur which keeps the food safe for eating. Again, this sounds obvious but I want to explain the reason why. When you use sous vide for home cooking there is a good chance you’re using an immersion circulator. If you’re using a sous vide water oven there is less chance of evaporation. But immersion circulators are very popular at the moment for home cooks. Most people use their own pot with the sous vide immersion circulator attached to the side. There are lots of ways to minimize evaporation but they are not always efficient. For the price of a kit, including container, you can avoid too much evaporation. If your water level drops below the level of the food, the temperature is not constantly transferred to the food. The temperature inside the food is not consistent. If you don’t know how long the water level has been low, then there’s no way to know how long the food was not at the correct temperature. This is a problem. The solution…invest in sous vide insulation balls to sit on top of the water and reduce evaporation. Or use a container with a fitted lid and your immersion circulator inserted into the lid. Another option is to cover your pot with aluminum foil, tightly around the immersion circulator. And then there is always the more expensive solution…purchase a sous vide water oven so there is virtually no evaporation. If you’re tempted to take your sous vide cooker travelling with you, don’t. It’s fine if you’re travelling locally but if you’re going overseas, think again. Because of the precise temperature control technology, a converter or transformer may damage your device or cause malfunction. The solution: only use your sous vide cooker with the voltage it was made for. And if you’re moving overseas, you might just need to get a new one. This entry was posted in Sous Vide on March 11, 2017 by Edwina. you state the things never to do but you don’t give the why behind it. WHY shouldn’t I just stick left over slow cooked foods in the fridge if I made too much? Thanks for visiting and raising this issue Tavian. There is a lot of scientific discussion on the net about the “danger zone” for foods and how long sous vide food or any food should be in this temperature zone to still be safe. Unfortunately I’m not a scientist so I’m not qualified to interpret all the scientific data available on this issue. However, there is a lot written on how to use rapid cooling after sous vide cooking to store your food (as mentioned in the post above). If you take a look at this link to the FDA’s Food Code (https://www.fda.gov/downloads/Food/GuidanceRegulation/RetailFoodProtection/FoodCode/UCM595140.pdf) you’ll see at least 26 references to sous vide cooking which can help you understand the reason why you need to rapidly chill the food after cooking in an ice bath to store it. There is a reference to needing to prevent the growth of C. botulinum and L. monocytogenes. They also refer to potential for the growth of certain pathogens. As I said I’m not a scientist so I won’t comment on why or how these substances affect our food. However, despite not being able to explain the scientific details, I can assure you I still take good precautions whenever I store our food as leftovers. There are lots of other studies published on the net which may provide you with more details – they are usually very lengthy to read and they contain the results of tests carried out at different temperatures and on different foods along with different means of chilling the food after being cooked. I think you’ll get more satisfaction from some of those studies to answer your question in more detail. Good luck with your research and I hope you enjoy cooking, with whichever method you choose. I hope you had a lovely Thanksgiving.